Today's best companies are approaching values in a way that is old values on steroids, from three angles: employee, customer and social. 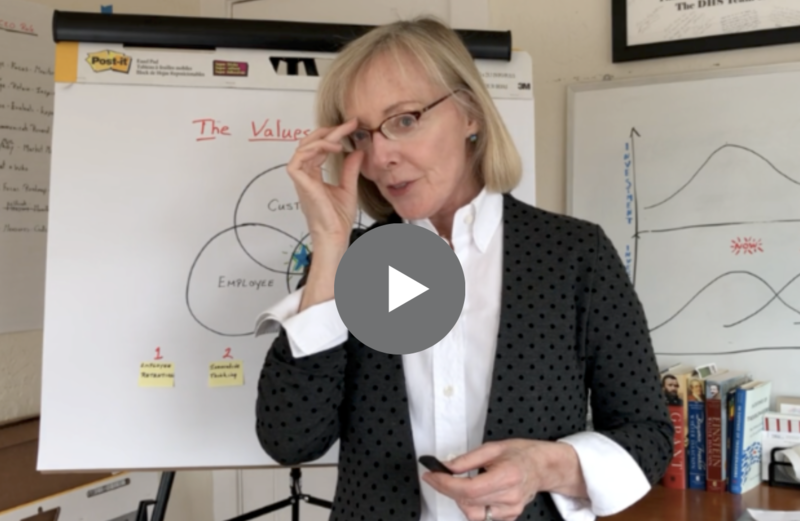 Implementing The Values Trifecta is the one thing you can do that will change everything in your business for the better. Plus, watch the video to learn how to get tickets to my invite-only, CEO Speaker event on April 25th. We'll be talking about The Value of a Values-Based Business including stories from my CEO guests about their core values, how they use values to drive employee and customer happiness, and why this matters hugely right now! Sources: James Heskett, Harvard Professor Emeritus, studied the relationship between values and profit and guess what? The data proves The Profit Power of Corporate Values. Plus consumers are on the values bandwagon with over half preferring to buy from companies that take a stand.